As is too often the case, Jewish gravestones are used for other purposes by people who live where Jewish populations no longer care for and maintain cemeteries. Israeli journalist Dvir Bar-Gal, who arrived in Shanghai nine years ago, is the Jewish tombstone collector of the city, according to a CNNGO.com story. Scattered in cauliflower patches, or sunken, mud-covered, in riverbanks, or sometimes used as washing slabs by villagers around the city, are the gravestones of old Jewish settlers of Shanghai. During the Cultural Revolution, the gravestones were uprooted, smashed and scattered throughout the region. 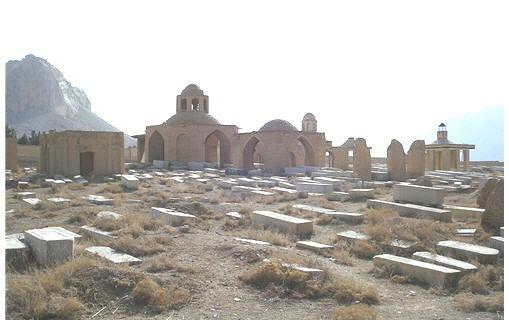 The cemeteries have long been paved over, with no recognition of the bodies buried underneath. The stones that remain are like historical islands, isolated and disconnected from their past. Bar-Gal’s quest, now called the Shanghai Jewish Memorial Project, has seen him journey to numerous rural villages around Shanghai. There, he’d find old tombstones in fields, along rivers, or used as construction blocks for pathways and walls. His plan is to discover and restore as many stones he can and then display them, as a shrine to this nearly lost aspect of Shanghai’s Jewish history. Stones have been recovered by the Shanghai Jewish Memorial Project from bike path bridges, fields and riverbeds. Bar-Gal interviews local residents and tries to put the puzzle pieces together. Bar-Gal says there may have been some 3,700 Jews buried in the city, but couldn’t find gravestones or cemeteries other than the pieces he discovers. He’s found some 85 stones over the past 10 years. He’s contacted families of the deceased and asked architects to design a permanent home. A few years ago, American Lily Klebanoff Blake joined Bar-Gal and they went to the rural location where he found her grandmother’s stone in a riverbed. The recovered stones remain in a few places: a storage space, a Buddhist cemetery and the journalist’s own gallery. He has a network of people who let him know when stones are found. In March, a neighbor told him some stones were found in a western suburb and he found two new ones. His inspiration comes from days like that, and he’s working on various projects: a documentary (not yet funded), a book about Shanghai’s Jewish history, and as a tour guide and photographer. Yanhua Zhang, research director for a non-profit heritage conservation group, believes that a permanent home for the stones can help people trace their family history, and would raise awareness of the former Jewish ghetto. The one thing I really wanted to do, on my recent visit to Hong Kong, was arrange a visit to Kaifeng. It was impossible this time, but will be number one on my next visit – whenever that will be. Matthew Fishbane recently visited the city and recounted his experience in the New York Times Travel Section, “China’s Ancient Jewish Enclave.” He also provides details for making a successful trip, mentions two guides and offers an interesting look. One guide mentioned in the story is Shi Lei, 31, who studied at Bar Ilan University in Israel. We met when he spoke to a Ra’anana branch meeting that attracted nearly 100 attendees. Through a locked door in the coal-darkened boiler room of No. 1 Hospital of Traditional Chinese Medicine in Kaifeng, there’s a well lined with Ming Dynasty bricks. It’s just a few yards deep and still holds water. Guo Yan, 29, an eager, bespectacled native of this Chinese city on the flood plains of the Yellow River about 600 miles south of Beijing, led me to it one recent Friday afternoon, past the doormen accustomed to her visits. A mezuza at the doorway of Guo Yan’s house in Kaifeng, where traces of a thriving Jewish community remain. The well is all that’s left of the Temple of Purity and Truth, a synagogue that once stood on the site. The heritage it represents brings a trickle of travelers to see one of the more unusual aspects of this country: China, too, had its Jews. That seemed a good enough reason to come looking, and I quickly found that I was hardly alone. Ms. Guo and I were soon joined by a 36-year-old French traveler, Guillaume Audan, who called himself a “nonpracticing Jew” on a six-month world tour of “things not specifically Jewish.” Like me, he’d found Ms. Guo by recommendation, and made the detour to see what the rumored Kaifeng Jews were all about. 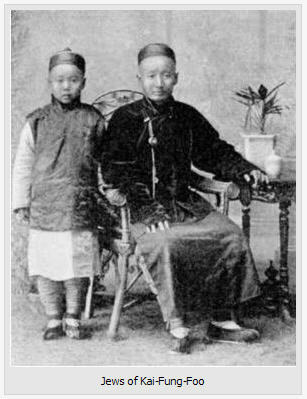 Grandparents told their grandchildren, as Mrs. Zhao told Ms. Guo: “You are a Jew.” Without knowing why, families avoided pork. And at Passover, the old men baked unleavened cakes and dabbed rooster’s blood on their doorstep. Read the complete story, at the link above, which tells of the visit to Mrs. Zhao, Judaica, and the 50 or so descendants of this ancient Jewish community as they are relearning their heritage. Fishbane also provides a good capsule history of Kaifeng as well. Their synagogue, damaged by floods, was never rebuilt. And, if this story inspires you, view the details, resource books and possibilities of arranging such a visit to Kaifeng. Most visit only for a day as there are few sites to see that exist, and a visit relies on how the visitor and guide explain what once was. If you do plan a trip, you might want to do it sooner than later. The street where Shi’s grandfather lived – where Shi keeps a one-room mini-museum of photographs, documents and donated objects – is scheduled for re-development. We all know what that means and Shi doesn’t know where the museum will move. Read the story for details on a Kaifeng visit planned for October 2010 by a group that specializes in such trips. The Museum of Family History’s Film Series short films will be online through April 4. The first film incorporates three geographic locations; one is allegedly a Galician village during he war. The last 90 seconds appears to be the deportation from the Lodz Ghetto. “While watching the end of this film, I felt that I was in the railroad car as people were boarding. “It’s one thing to read about the deportations, or see still photos, or even see films about the Lodz Ghetto, but another to see actual footage. If you can do this for Steve, he will send another post and inform everyone. Also, while it is unlikely that readers may recognize anyone in the film, one never knows, so do take a look. The 8 1/2-minute clip name is “Deportations of Jews” (aka “Deportation to the Death Camps”), and was allegedly shot by a Nazi cameraman. Take a look at both clips. If you can help Steve, send him an email. You can also access Steve’s blog. London’s Spiro Ark will open a photo exhibition – The Last Jew of Sighisoara and Transylvanian Synagogues – on Wednesday, February 3. The exhibit will be of interest to those researching Romania or in the restoration of Eastern European Jewish sites in Eastern Europe. The synagogues in the photographs – where Jews are no more – will become Jewish historical and cultural centres. The exhibit opening will include a talk by Jessica Douglas-Home on the Mihai Eminescu Trust’s restoration work on historic buildings in Romania. The Trust, chaired by Douglas-Home, was founded in 1987 and works in Saxon Transylvania, where its goals are to conserve and restore the region’s historic built heritage, to revive the economic life of its village communes and to train indigenous craftsmen in new or forgotten skills. The film “Gruber’s Journey,” by Radu Gabrea, will be screened. Learn more about Spiro Ark, which aims to teach Jewish history and culture. It believes both are important as it combines Jewish education, history and culture to maintain Jewish identity in the 21st century. The question whether old and dilapidated synagogues, which are no longer in use should be restored and maintained, is in our view a rhetorical one. For us Jews whose life-line to things Jewish is Jewish history, the answer is obvious. The question however remains whose responsibility it is to bear the cost. Should it be an individual whose ancestors came from the specific area or used that particular synagogue; should a Western community adopt a restoration as their memorial to those who perished leaving us with the obligation to remember, or should it be the responsibility of the State where the synagogues are found? She includes more information on the Mihai Eminescu Trust’s restoration of the Medias synagogue which will become a national heritage center to teach visitors, including students, about Transylvania’s Jewish history. Thanks to Saul Issrof of London for this tip. Steve Lasky of the Museum of Family History has added two lists, including 1,400 names of Jewish residents who perished in the Lodz Ghetto and buried in its cemetery. Later this year, he will announce a large online exhibit on the Jewish ghettos of Europe. View the Lodz Ghetto cemetery list here; all names are on a single web page. For each person buried, the fields are: the grave number, name and surname, death date and age, along with the Polish and Hebrew forms of father’s given name (as well as the surname and given name variant transliterations and spellings). Section one has only the English date of death, while the second section has both English and Hebrew dates; there are other differences between the first and second lists. For example: Goldsztajn Gawryl Arja, son of Mojsze is also noted as Goldstein Gavriel Arye, son of Moshe in the first list. This should help researchers who know the contemporary surnames but not the original Polish name forms. In turn, this will assist them to check other online resources using the original spellings. These lists are by no means complete, as there were no doubt many more of our ancestors who died in the Ghetto and were buried there. However, these lists might just help some of you who had family in the Ghetto during World War II with your Lódz family research. The lists give the names of the deceased, and often the father’s name, the date of death and age at death. The lists come to you courtesy of the Lódz Jewish community through the agency of Yad LeZehava (YZI) in Kedumim Israel and with the dedicated cooperation of the officers and men in the IDF ‘Witnesses in Uniform’ Program. Visit the Museum of Family History. Read Steve’s blog for frequent updates on the Museum. Questions? Ask Steve. The online Museum of Family History has added gravestones and photographs for burial society plots of towns in Ukraine, Belarus and former Yugoslavia. Although there are additional society plots for each town located within other Metro New York cemeteries, the new additions are only from Beth Moses Cemetery (Pinelawn, New York). There are no plans to photograph the other plots for the towns noted., according to Museum creator Steve Lasky. Find the links to these lists here. For the vast majority of the 200 shtetls, towns and cities (and some other organizations) listed at that page, every society plot has been properly photographed and databased. The list of some 105,000 names from more than 30 Jewish cemeteries in New York and New Jersey, is available only through the Museum of Family History. As just one example of the various plots, click on Mogilev, Belarus on the museum page link. 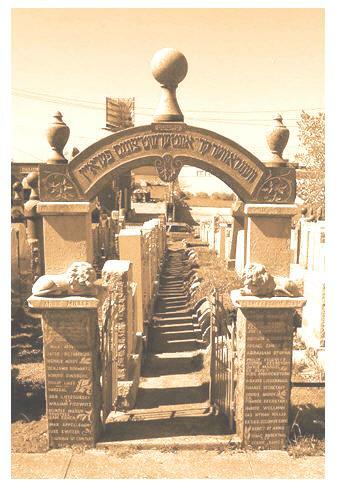 The Name List contains some 280 surnames – many familiar to Mogilev researchers – of those buried in three of the five Mogilev burial society plots in the Metro New York area. Readers who find a surname of interest and would like to receive the gravestone photo, should email the Museum. Remember to list the surname and town. Steve Lasky’s continuing achievement at his cyberspace Museum of Family History is to be commended. Visit the Museum and sign up for his blog to learn about new exhibits which may provide a break-through in your research.